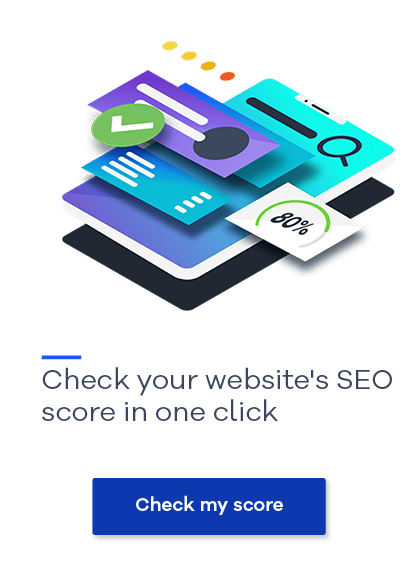 When it’s done efficiently and effectively, SEO can be one of the most powerful tools in a marketer's toolbox—and it seems that every year more and more marketing departments realize this. Even when it seems like headlines pop up every day announcing that "SEO is dead,” SEO is very much alive. Modern SEO is more than just links and keywords. Building a strong brand, pushing out fresh and compelling content, optimizing the user experience, and creating a strong link profile are all part of the SEO success equation. That said, herein lies the challenge—year after year the factors that affect SEO continue to change. Today’s digital marketer runs a handful of marketing activities at any given time. Whether it’s SEO, paid search, content, email marketing, or social media, it’s no secret that the list is long and varied. Chances are, SEO falls into your top 3 because it’s important for every organization—everyone wants to be found. But what about those pesky headlines like “SEO is dead”? The saying probably comes from the fact that SEO has changed a lot. Contrary to its humble beginnings, SEO is now about creating a recognizable brand, a strong website layout, compelling content, a stellar user experience, and more. So, the next time you see a headline that reads “SEO is dead” remind yourself that it’s not, it’s just always changing. Keywords that your organization ranks for can be grouped into two categories: branded and non-branded. Branded keywords are those that relate directly to your brand name, such as Nike’s ranking for “Nike shoes” or Starbucks’ ranking for “Starbucks coffee”. It’s common that organizations will rank high for their branded terms. If it makes sense for your organization, consider making it part of your overall keyword strategy. If you were to search for the terms above in a search engine, the first brand that comes to mind would likely be one of the results on the first page. Ranking on the first page for a non-branded term is a great way to build brand awareness. When prospective customers search for a non-branded keyword and your organization’s website appears, the hope is that they will automatically associate your brand with that search query. When optimizing your organization’s website for search, many improvements can have a positive impact on your users’ experience. For example, technical audits often check that your website loads page content quickly and effectively, ensuring users don’t have to wait longer than necessary for what they need. Organizing your website in a logical manner also helps users find content quickly, while helping you reach your SEO goals. With SEO, improved keyword rankings often mean more visitors to your website. More traffic on your site adds more prospects to your sales funnel, ultimately improving your business’ chances for increased revenue. Aligning your keyword traffic with an analytics platform can help determine which keywords or content areas have the greatest impact on revenue and provide strong opportunities for optimization. SEO can be a strong partner for a Paid Search (PPC) strategy. By optimizing content for targeted, non-branded keywords, SEO can help increase Quality Scores, increase Ad Rank, and lower Cost-Per-Click (CPC) bids, leading to increased traffic at a decreased price. For users navigating your website with assistive technologies, adding context to images and links helps them better understand the content on your web page. While still considered issues that impact SEO, there are many that overlap with accessibility and should be prioritized for your visitors. Now that you know SEO is alive and well—and plans to stick around—learn how you can find SEO success for the rest of 2018.